Suzy calls herself a beauty junkie and says our world views youth and beauty as commodities. Suzy reminds us as we age, our hair, skin and nails do as well. That’s why she formulated a collagen-based beauty powder. “It’s patent-pending and there’s nothing else like it in the world,” she says. “I’m beyond excited to launch it to my database of followers.” The reason some of us look older and have deeper wrinkles is because our bodies are making less collagen. “We can slow down the visible signs of aging by smoothing wrinkles and plumping up the skin,” she says. Collagen is the fountain of youth compound in our bodies. It restores collagen in our bodies which slows down as we age. It also neutralizes free radicals, especially peroxide which makes us go grey. Collagen also reduces eye wrinkles and even addresses cellulite, and fingernail and hair growth. Simply add one scoop of her collagen powder to a glass of water with some chopped up fruits and ice. Her beauty powder includes collagen, vitamin C and hyaluronic acid which plumps the skin with moisture. She will also share her JointScript supplement which includes frankincense and turmeric (which aids in inflammation) and collagen. Suzy says the supplement catalase will help fight grey and gloom. She will make a Collagen Berry Beauty Cooler and show us how to turn back time from the inside out! Her Collagen Berry Beauty Cooler is easy to make: Stir 1 scoop of the Collagen Beauty Powder into 1 cup of cold or sparkling water. Add 1/3 cup of watermelon chunks and 3 sliced strawberries. Garnish with a sprig of mint. Suzy devotes time to educating people about the benefits of natural vitamins, herbs and minerals. 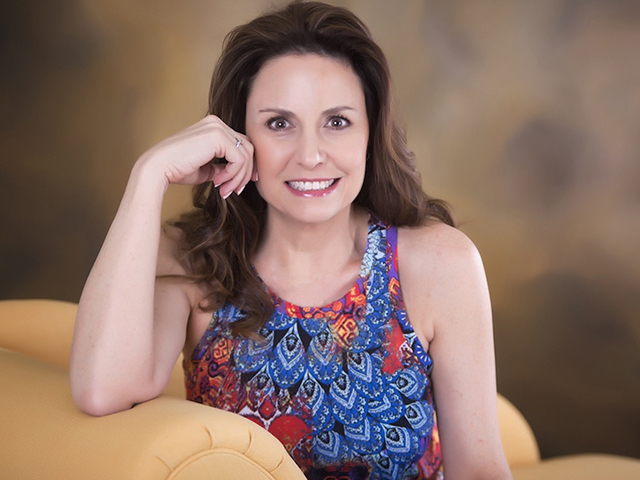 In addition to writing a syndicated health column, “Dear Pharmacist,” which circulates to 22 million readers each week, Suzy is the author of many different books on natural health. You may have seen her on The Dr. OZ Show, The View, The Doctors, 6 different appearence on The 700 Club, Good Morning America Health and hundreds of morning shows. Other media include: First for Women, Fitness, Natural Health and Better Homes & Garden and dozens more. She has delved deeply into metabolic pathways in the body and how vitamins and minerals affect these pathways. Suzy decided to develop a line of supplements in the last 3 years using non-GMO (genetically modified organisms). She incorporates biblical, medicinal herbs into each formula. “I’ve done the research for this and with my pharmacy background and love for God’s plants, I came up with these supplements,” says Suzy. For more information, please visit www.SuzyCohen.com/700. Get Suzy's new e-book, Medical Herbs from the Bible. BEAUTY JUNKIE Suzy calls herself a beauty junkie and says our world views youth and beauty as commodities. Suzy reminds us as we age, our hair, skin and nails do as well. Has developed a line of supplements including MemoryScript, GlucoScript, JointScript and ThyroScript, etc.